Can a young woman prove her loyalty to her country and her family? Lan Yan Zhi (Zhao Li Ying) is privileged banker’s daughter in Shanghai and a student activist who mistakenly comes into possession of a letter from the Japanese Army in 1937. She gets misunderstood for a spy by Song Mian, an upstanding officer in the Chinese Army. To prove her innocence, Yan Zhi agrees to infiltrate the home of her best friend, Feng Man Na (Tao Xin Ran), and help track down a mysterious spy. Summary: Biyao and Qin Wuyan as one party and Xiaofan, Shushu, Xueqi, and Lixuan as another headed west (at a desert) to look Xiao Huan and Xuan Huo Jian. 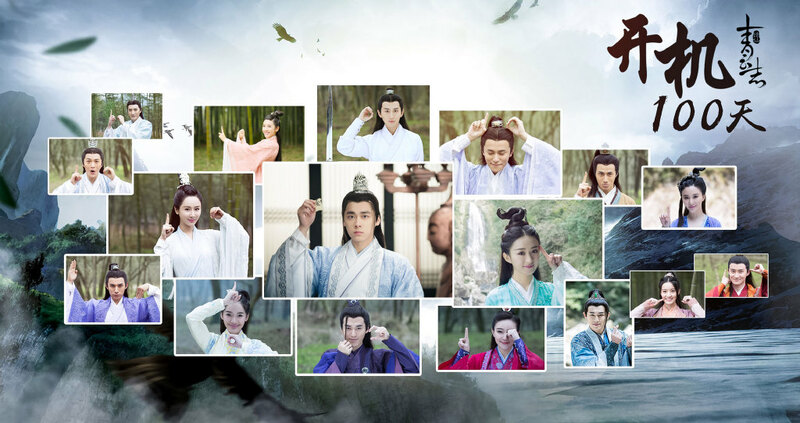 Summary: After leaving Ding Hai Zhuang, Biyao and Xiaofan were mainly in Hu Ji San while Jingyu and Xueqi were back at Qingyun. 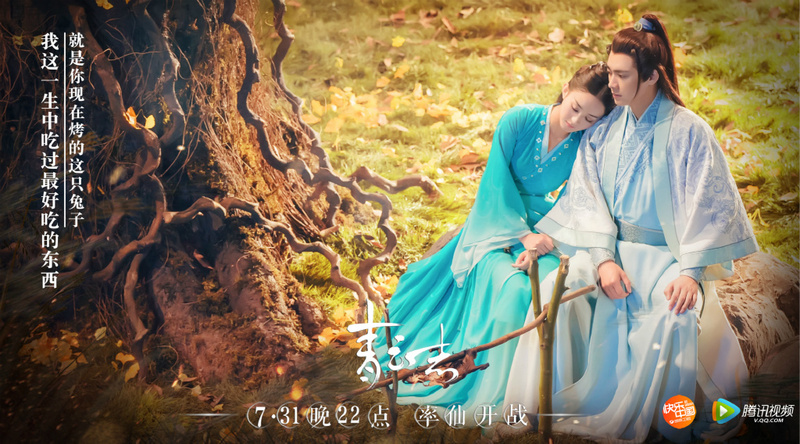 The story revolves around Biyao losing her memory and Jingyu losing his power. On September 20th, it is time to say Happy Birthday to the one and only… Hu Ge!! He is 34 this year and we all just want to see him married ^^ Someone send him a wife as a gift please! From Author: Hello every body. First off I will like to introduce myself who is another admin on this blog. My name is Lia and my favourites in C-land are Kris Wu, Fan BingBing, YangMi, Liu Yifei, Li Yifeng, Angelababy and William Chan. I also like super models like He Sui, MingXi, Liu Wen and Sun FeiFei. I will more likely do fashion or photo shoot related articles because that is what I love and perhaps a few movies. I’ll leave the drama articles to the real experts 😉 So tell me who do you want to see me write about more then I’ll do it. FYI, this is my first blog post ever, some pointers would be nice to have. Summary: Xiaofan, Jingyu, and Xiao shixong are now off to find the second Tian shu. Biyao also joined them in search of Tianshu. The setting takes place in the city of DongHai against YuWanZi (head of Zhang Sheng Tang). Summary: Zhang Xiaofan and crew continues with the investigation of the poison happening in YuDu city. This eventually leads to the battle with WanDuMen and the finding of the first Sacred book.